I don't need another mom. We all know someone who could benefit from a digital time-out. You know the type: phone attached to the hand, posture permanently hunched in a looking-down-at-the-screen slouch, plagued with ailments like phantom vibrations and sleep texting. Most of the disruptions I receive each day are things like incessant notifications from Photos telling me I have new selfie collages ready, or Maps asking me to rate the 300 hotels I walk by in New York every day. Google services can be needy as fudge, but like a sucker I get dragged into looking at my phone and clearing out alerts. I can't help myself, and Google isn't helping me either. The company is all too aware of technology addiction and even more so of its role in exacerbating it. Instead of being the cause, Google now wants to be the doctor. Or parent, anyway. With its new Digital Wellbeing initiative, the tech giant is tracking the amount of time you spend on your apps or watching YouTube videos to tell you just how addicted to tech you are. Perhaps when you know how bad your problem is, you'll want to take steps to cut back on your tech consumption. 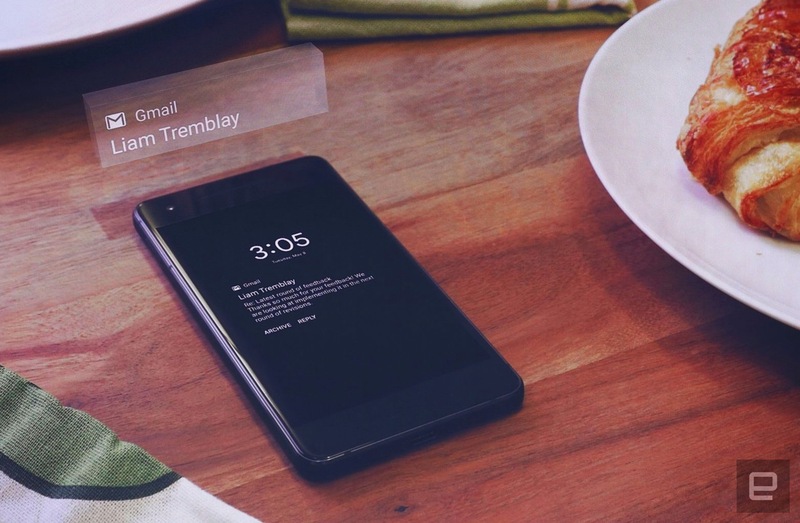 One of the ways Digital Wellbeing is being implemented is in Android P's Do Not Disturb (DND) mode. Not only will DND silence all notifications (save for those from your favorite contacts), but it prevents visual cues from hitting your screen, too. No more pesky indicator icons lining up on your lock screen, piquing your curiosity about who might have just liked your Instagram post. Android P will also make it easier to enable DND, with a new gesture called Shush. Flip your phone over on its face, and it will stop vibrating or pinging you with alerts. Although frankly, when I turn my handset over, I do a good job of ignoring notifications without having to turn on DND anyway, since none of the visual cues are visible. But it's nice to have vibrating automatically disabled with one move. Another way Android P will encourage digital wellbeing is with something called the Android Dashboard. It's a page that displays how much time you spend on your phone, with a wheel diagram showing you exactly how long you used specific apps like YouTube, Netflix, Instagram and Facebook. Below this, you can set time limits for all the apps on your phone -- say, only five minutes of Twitter a day. Once you've expended your allotment, you won't be able to open that app for the rest of the day, and its icon will be grayed out on the home screen or app drawer. Try to tap it anyway, and an animation of Jurassic Park's "Ah ah ah, you didn't say the magic word" pops up, chiding you on your lack of self control. Just kidding -- it simply says you've exceeded the amount of time allowed that day, and tells you where to go to change the limit. While it's nice to know how much time you're wasting on Angry Birds or, my current favorite Snake vs Block, there are a few caveats with Digital Wellbeing. For one thing, it's not complete yet. The feature hasn't rolled out to the current beta, and we're expecting other tools to come when the next OS officially launches. Also, the dashboard only counts your time spent on a particular app if it's something running on your main screen. So if you have Netflix casting to a TV screen and nothing else running on your phone, all of that watchtime doesn't get logged. I also have questions about how Digital Wellbeing will work on other platforms, like Wear OS. Dennis Troper, director of product management for Wear, told Engadget that the goal there is to "allow people to have more control over what info flows onto your wrist." It will offer more granular options over what to enable, "as opposed to having every single notification you get on your phone buzzing on your wrist." You'd still be able to whitelist important contacts and remain connected to them through your watch, though. Until we hear more about Wear OS this fall, however, it's hard to tell what digital wellbeing for your wrist might look like. My biggest issue with Digital Wellbeing as I've seen it so far is its assumption that people with tech addictions have self control. The whole system relies on people to turn on Do Not Disturb mode or to set time limits for themselves and then respect those. What if you ran out of time on Instagram one day, but then get tagged in a post by a friend you know has awful pictures of you? Or, more seriously, if you've run out the clock on Twitter, and a major news event breaks on the social network? It's not clear yet whether notifications for grayed-out apps would also be disabled, but even if they were, would you have the willpower to ignore what's going on in your online world? Google could counter this by sending you alerts encouraging you to put down your phone, although that would be ironic. Again, it's not yet clear if this is part of the Wellbeing initiative or if it will be, but given Google's penchant for reminders, I wouldn't be surprised if that happened. The company is coming from a place of good intentions with the Digital Wellbeing initiative, but I have little faith that people (or addicts) are going to adopt the new tools or stick to their limits. Thanks for trying, Google, but ultimately people are going to do what they want, and there's not very much you can do about it.